There is nothing quite like the Masters Tournament, the true crown jewel of the four majors on the PGA Tour. Everyone is fighting for that iconic green jacket down at the Augusta National Golf Club, arguably the most famous golf course in the world (although St. Andrews and Pebble Beach will have something to say about that). 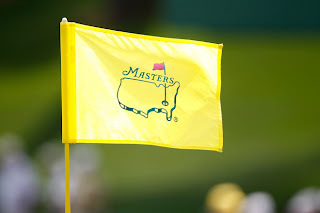 So who will claim the Masters in 2012? Is this Tiger Woods' tournament to lose? The big favorite it appears coming into the Masters is Tiger Woods and it is easy to see why. He finally got the monkey off his back by finally winning in his last tournament, his first victory since September 2009. And Augusta is easily one of his best courses, winning a green jacket four times as well as the fact that even when his game has sucked (i.e, the last couple of years) and his putter has been terrible, he has still finished in the top five at the Masters. Now his swing is coming into form, his putter is looking good so he should be in contention this weekend. Can Rory McIlroy rebound from his disastrous choke from a year ago? McIlroy was completely dominating the Masters last year and entered Sunday not needing to fall apart in order to win. Yeah, about that. He shot the worst round of anybody that was leading after day three with an ugly 80, finishing ten strokes off the lead. But he rebounded to absolutely dominate the U.S. Open at Congressional and he's just too talented to not be a contender when he is on. His golf has been tremendous this year, with three top three finishes in all three starts He learned some hard lessons a year ago so come Sunday, he will be in the hunt. Could Phil Mickelson win another green jacket? Remember when Mickelson was the best player to have not won a major? Seems like a long time ago and it was and he's always a strong contender down in Georgia, having won thrice. Mickelson is a force to be reckoned with every time we head down to Augusta but his play has been either really good (win at Pebble Beach) or subpar. But that is Lefty, who could follow a 64 with a 74. He is a little under the radar this tournament and that usually bodes well for Phil. Any chance Charl Schwartzel repeats? Anything is possible and Schwartzel really impressed in last year's tournament going on an epic final round to claim the green jacket. But his play has been really inconsistent with two top fives and three missed cuts. And only three golfers have won the Masters twice in a row and they are Jack Nicklaus, Nick Faldo and Tiger Woods. I'd be really, really stunned if Schwartzel won again. Lee Westwood has been poised for a breakout win. Could this be it? You could make a very good case that Westwood is the best golfer on the circuit right now without a major victory as he has finished third or better at every major. The Englishman is one of the most consistent players on the circuit and he played Augusta more than you think he has and he has gotten much more familiar with the course. He has the game to win so keep an eye on him. Can the World Number 1 golfer win? Luke Donald has been playing some really good golf of late, considering the fact he is the top ranked player in the world right now, and he definitely has the goods to win this year. He has had success at Augusta, with three top tens in his seven visits and finished fourth last year, and his golf has never been better and his even keel nature will have him confident throughout. I don't think he will win this go around but he will be in the mix. Could we have another unknown golfer suprise? How many people knew who Charl Schwartzel was before the Masters last year? Not many. The attention is always focused on the big names (Woods, Mickelson, McIlroy, etc.) but all it takes it one golfer under the radar to stay in the hunt and play the round of his life, like Schwartzel did last year, particularly when he birdied the last four holes. And this is one of the stronger fields in a while in my opinion. It's an uninspired pick but I really like Tiger to win. He got the monkey off his back by finally winning after the whole car crash fiasco and he will always be in the hunt at Augusta. He's done it before and he'll win again. And when Woods is on fire, you cannot beat him.